I watch a young woman in the blooming and I am amazed, nope that word doesn't even encapsulate it, I am truly in wonder. I always beat myself up for not knowing how to conquer all of the battles of motherhood, after all this IS my second time around. I always thought I would not make a good mother, my patience has not always held the best reputation. 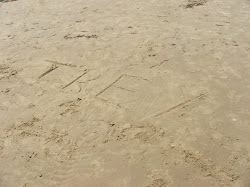 I often thought that I would be too consumed in my grief over Trey that I could not give her all she deserves. The truth is, with her my patience is pure, I am not the disciplinarian I thought I would be, I am the consoler, time-outs equal me walking away from a tantrum yet giving sweet cuddles when she calms down. This child WANTS to spend time with me, WANTS to be held by me, WANTS to be silly with me, WANTS me to be her Mommy and I am ever present with her in every moment she is with me. She listens to me, wants me to teach her, plays with me, finds comfort in me, she even pats on my shoulder when I should be patting on hers for soothing. She calls me "Mommy" and it's...well...it's life changing. 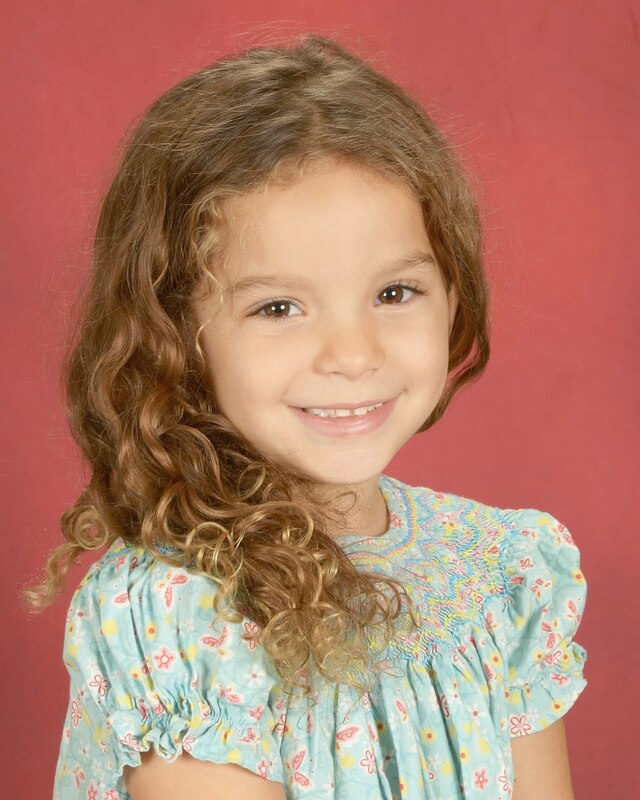 As she grows and learns I realize that I had a part in that although I think she is pretty perceptive on her own and her Daddy possesses most of the intelligence. She has a kind heart, the kind of heart we all want to have. Even at her worst, she is my inspiration. I feel, as always, that Trey sent her to us knowing all that she could and will be and that it would fill our shattered hearts, he was right, he was spot on. Only when I am alone with my thoughts does my regret and wanton nature creeps in. I've always wanted all of these wonders with my first, it was never meant to be. If anything, his precious life prepped me as a parent, however bittersweet that sounds, I experience it daily. 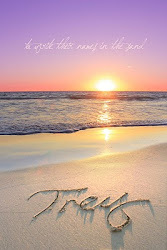 Regardless, Trey has left her in our charge, CHARGE...seems ironic but kismet as well. 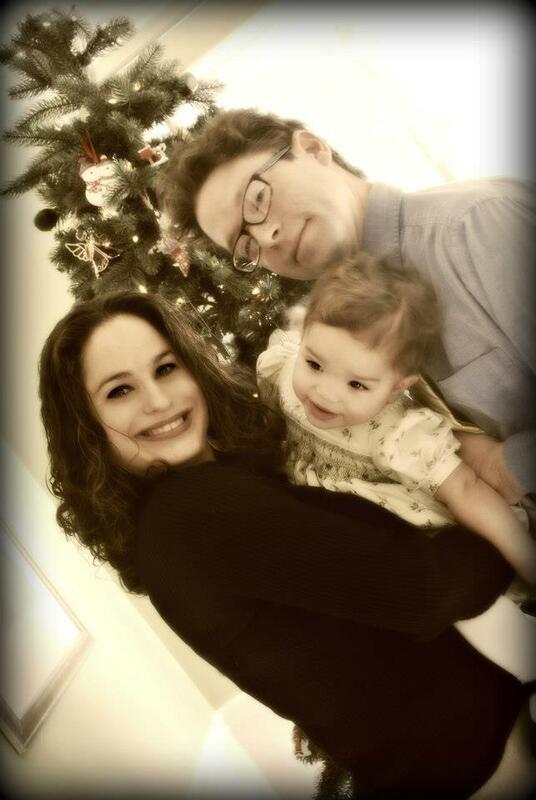 I find joy and fulfillment in that responsibility, not because he expects it, but because I love my children. Yes, I did not get the chance to watch Trey live as Lorelei does, I never would have anyway, I didn't want him to live that way. 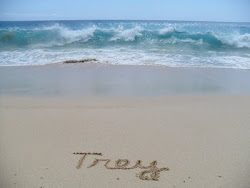 Trey taught me that there is always love in the greatest of tragedies, love is ALWAYS the potential from pain. So I watch my daughter thrive, learn, grow, become. 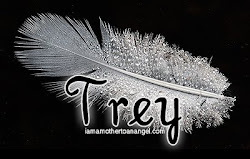 I revel in it not because of Trey, I would have done the same for him if given the chance. I am simply humbled to experience the miracle that is the lives of my children, not matter the duration. My mom always said I would make a good mother, I never believed her. She was right, I gave my son freedom and I give my daughter all that a mother should give. I can only give so much to Trey, but he has given me so much more than I can repay, so I focus on giving Lorelei the same life, love, nurturing and care that I give him. We often have no idea what to say in the face of senseless loss. That is especially true when children are the victims of tragedy. Today's shooting in Connecticut is heartbreaking in so many ways, not the least of which is the staggering loss of children. My first two years in ministry were spent as a chaplain assigned to the emergency department of a children's hospital with a level one trauma center. During that ministry I saw so many senseless tragedies. I also heard some of the worst theology of my life coming from people who thought they were bringing comfort to the parents. More often than not, they weren't. And often, they made the situation worse. 1. "God just needed another angel." Portraying God as someone who arbitrarily kills kids to fill celestial openings is neither faithful to God, nor helpful to grieving parents. 2. "Thank goodness you have other children," or, "You're young. You can have more kids." Children are not interchangeable or replaceable. 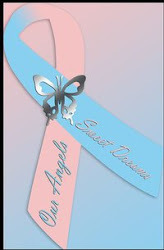 The loss of a child will always be a loss, no matter how many other children a parent has or will have. 3. He/she was just on loan to you from God. The message is that God is so capricious that God will break parents' hearts at will just because God can. 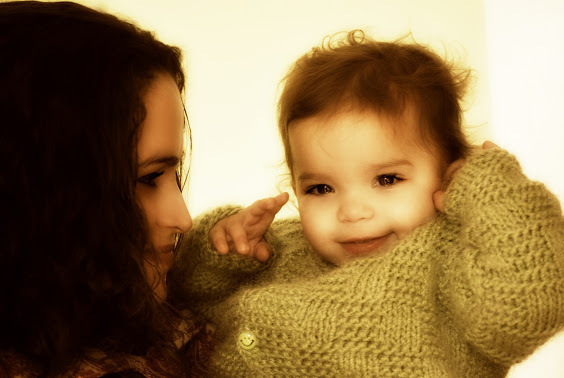 It also communicates to parents and loved ones that they are not really entitled to their grief. 4. God doesn't give you more than you can handle. Actually, some people do get a lot more than any one person should ever have to handle. And it doesn't come from God. Don't trivialize someone's grief with a "what doesn't kill you makes you stronger" mentality. 5. We may not understand it, but this was God's will. Unless you are God, don't use this line. 1. I don't believe God wanted this or willed it. A grieving friend or family member is likely hearing that this is God's will from a number of other people. Affirm the idea that it may very well not be. 2. It's okay to be angry, and I'm a safe person for you express that anger to if you need it. Anger is an essential part of the grieving process, but many don't know where to talk about it because they are often silenced by others when they express their feelings. (For instance, they may be told they have no right to be angry at God.) By saying you are a safe person to share all feelings, including anger, with, you help the grieving person know where they can turn. It seems so obvious, but sometimes this doesn't get said. Sometimes the pieces don't fit. Sometimes nothing works out right. And sometimes there is no way to fix it. Naming it can be helpful for some because it lets them know you won't sugarcoat their grief. 4. I don't know why this happened. When trauma happens, the shock and emotion comes first. 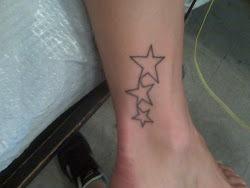 But not long after comes our human need to try to explain "why?" The reality is that often we cannot. The grieving person will likely have heard a lot of theories about why a trauma occurred. Sometimes it's best not to add to the chorus, but to just acknowledge what you do not know. 5. I can't imagine what you are going through, but I am here to support you in whatever way feels best. Even if you have faced a similar loss, remember that each loss is different. Saying "I know how you're feeling" is often untrue. Instead, ask how the grieving person is feeling. And then ask what you can do to help. Then, do it and respect the boundaries around what they don't want help with at this point. You will be putting some control back into the hands of the grieving person, who often feels like they have lost so much of it. When I was in Elementary School our grades were E (excellent), VG (very good), S (satisfactory), and NI (needs improvement). Nowadays in the same county the students are rated on a 3+, 3, 2, and 1 system. When you are constantly assessing and explaining to parents why their child received the rating they did, it forces one to think of their life in those terms. Recently I began to think of the rating of my life after losing a child. I give myself a 3+ ALL the way!!! I am still standing. I show up to work everyday with passion. I help others who walk the same path as I do. I am present with my child, my marriage, my family, and my friends. I weather the ups and downs of life as they come. I make my house a home. I educate myself in every element of its existence. I put one foot in front of the other no matter how I may stumble. I get out of bed every morning with varying weights on my shoulders. I cherish the little things, the many little things that turn into big things. I learn from my mistakes and my triumphs. I love and live better. I take every opportunity to better myself. I am empathetic to those who are struggling. I am trying to take better care of my mind, body, and spirit. I am more patient with those I come in contact with. I make mistakes, yet I try to forgive myself easier and know that mistakes are human as am I. I listen, not hear, but listen better. I feel no shame in sharing my son with the world. I feel more confident as a parent. I live, I truly live. Isn't that beyond expectations, in other words a 3+? But the one I couldn't send was to you up above. In your Christmas card what would I say? That I wish I could see you everyday. Would I wish you Happy Holidays just like the rest? To wish I could hold you would be in my jest. Could I say you were my angel as always you'll be? Not the one in the Bible or on top of the tree. How many stamps would it take to reach so far? Will it reach the Heavens where you are? To you my Angel who's joy it would for me to be meeting? In having a son, my Angel, my boy? I can't find the address to the loved one I am sending. I fear to never find it with my heart forever mending. So I stamp it with love and with the greatest of care. I know you'll receive it, I know you will be there. Is that this holiday fills you with great cheer. While missing you is our greatest of times. Sadly there are too many, it would be a long list. You have blessed my life each and everyday. You often hear it said that "God never gives you more than you can handle" and at the time we lost Trey I would look up the heavens and say "REALLY?!?!?! YOU THINK I CAN HANDLE THIS?!?!?" I heard someone say this common saying and got to thinking: Is Trey in Heaven because it was more than the three of us could handle? I can see how Trey was given more than he could handle, but then you look at our lives. How bad would it have been caring for him, watching him struggle, raising an impaired child, the constant medical bills and visits, the hospitalization, his life long dependency on us, and the pain of the helplessness we would feel with his condition. It puts a lot into perspective though we still ask ourselves why did God give him to us if he it was already more than we could handle? Our fate with him must have been impossible, the same way we felt about getting through his death. True, in both scenarios their is lifelong heartache. As much as I miss him and wish he were alive and healthy with us, I am glad he is healthy and happy in Heaven. We are also better for it even through our sorrow. John and I are inspired to help other families dealing with similar situations all in the name of Trey. 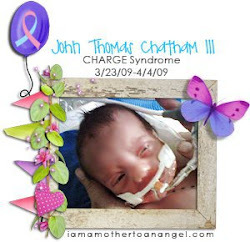 Instead of spending the majority of his life totally focused on his medical status, our eyes were open to a world we never wanted to see, child loss. But through that vision we keep our loss ever present in our minds and strive to reach out to those who are walking the same path. I don't think or feel we've seen the last of our son. Maybe what we couldn't handle was the now and what we could handle was the wait to have some symblance of him, either through spirit or a renewed soul that blesses our family or within the love of friends. He had important work to do, in our lives and in the lives of all he touched. 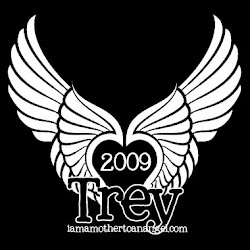 Who knows where we would be as a family and as individuals if Trey would have lived, sic or not. What I have realized is that I CAN handle this grief and any other obstacle that comes my way. The ones that are too great for me are removed. God must have considered me pretty strong to saddle me with this journey, others crumble under the weight and I can understand why. Though there are times that I am weak, I am ever amazed at the progress in my journey so far. 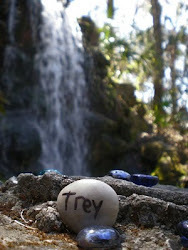 Losing Trey was hard, but apparently not harder than we can handle. I feel empowered and know that I can conquer anything because nothing can be worse than losing your child. "God never gives you more than you can handle". 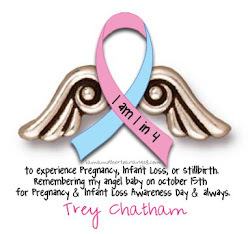 Thank you God for taking Trey and recognizing that he couldn't handle it. And thank You too for helping me learn how much I can handle and for letting me, through this journey, realize how strong I am. When you were conceived our hearts were full with love for you. We listened to your strong heat beat at every appointment. Your Daddy's heart grew two sizes when he learned you would have his namesake. Every day we would fill out hearts with your movements and hiccups. I don't want to remember the appointment our hearts took a turn for the worse. All of a sudden your heart was to focus of our lives. Doctors spent hours looking at your heart trying to find missing physical pieces. They didn't know your heart was full of love all along. Your heart told you that you were in trouble so you had to make your escape. They invaded our last moments together, when our hearts were close to each other. They monitored your heart while mine was chasing every hope that you were ok.
My heart stopped when yours did as you were born. I begged them to make your heart work while mine was sinking. My heart stilled while I waited for your Daddy to come in with news of your health. When he did, we all could tell his heart was overwhelmed. His troubled heart stole the flush from his face and words from comforting me. In a very late hour, our heavy hearts went to see you in your stable environment. We learned of the weak physical condition of your heart, the heart we lived by. My heart couldn't comprehend the news of your condition. They took me back to my room to let my heart process the news. Over the next few days your heart was what kept us alive. We lived and breathed knowing your heart was still going. Our visits with you excited your heart and we worried it was too much. Our hearts were re-inflated with each day you persevered. For ten days our hearts beat with yours loving every moment together. Your beating heart was what we had longed for all along. When we held you, our hearts beat as one yet three. Your life spawned the hopes of our hearts, that you would be well. The day came when your heart led you to gain a bed at the children's hospital. Our hearts glowed as they prepared you for transfer. The heart of a nurse called my attention to your open eyes, a picture I always wanted. I took it as a sign that all of our hearts would be healed. They let me ride with you on the journey to a healthier heart awaiting you. But they would not let our hearts be in the same part of the ambulance. The racing of my heart was registered with every bump in the long journey. Finally I lightened the heart of the traveling doctor as we arrived. As your heart was being stabilized ours were settling into the comfort of your care. Our hearts praised your admission into a hospital of healing. In our hearts we felt our prayers were answered, that you would heal. Our hearts rested easier that night, resting near you, hoping for you. In the morning our hearts were dancing in possibility. 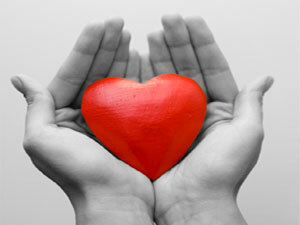 Our inspired hearts came together to meet with the doctors in your care. Their hearts came together in a delicate way to tell us of your fate. That is when the cracks in our hearts began to form. With every gruesome detail, the cracks in our hearts began to spread. The cracks in our hearts grew depth with your prognosis, with the truth. My heart was not ready for the explanation from your Daddy. Your heart had been compromised by your fight for life. On our fourth wedding anniversary, the hearts of your Daddy and I cemented. Our heavy hearts came together and decided to save you. Your heart had been through too much, it was over worked. Your heart needed peace, needed to be put to rest. Part of our hearts died that day, our hearts were fragile like yours. Like everyone else, we could not understand how hearts could be broken like this. My heart could not stand to be there when your heart physically stopped. I knew it was forever and my heart would have to keep on beating. I would have traded hearts with you in an instant. Our hearts began to shatter through the cold veil of shock. Those were the days when your heart at peace gave us solace. Your heart felt no pain, our hearts still beat through the pain. With your heart whole and healthy in Heaven. Our hearts splintered under the weight of grief. Through time we put the pieces back together in our own hearts and each other's. Until almost all of the pieces of our hearts are back in their places. You had your heart set on another soul to for us to have and to hold. Her heart possessed the physical strength yours lacked with the same spiritual strength. She brought to us a sweetness that caramelized the broken pieces of our hearts. Though they are now glazed with the love of our children, the heart cracks still show. Time has harden that sweet glaze holding the pieces of our hearts together. The seams still show, but your brave heart has made fissures into mere scars. Each day with your sister and in your legacy fades the scars that marred our hearts. Our broken hearts are strengthening under the strong love from both of our children. The hearts of the four of us are strong, both in the spiritual and character sense. Love connects our hearts like no bond has ever before. The healing of all of our hearts makes us stronger, our hearts growing with love. Even though my heart is broken, your daddy, you and your sister make it complete.